Today's the first day these phones are available! 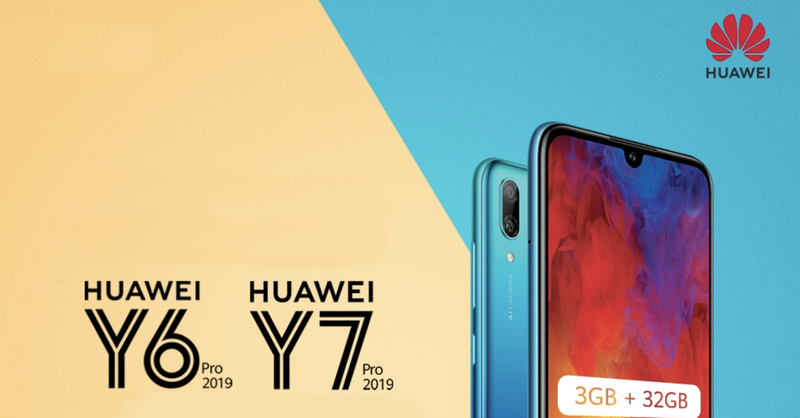 After being on pre-order for the past few days, the new Huawei Y6 Pro (2019) and Y7 Pro (2019) are now available! Both phones are Huawei’s latest budget offerings, with each packing DewDrop’ displays, along with AI camera features. 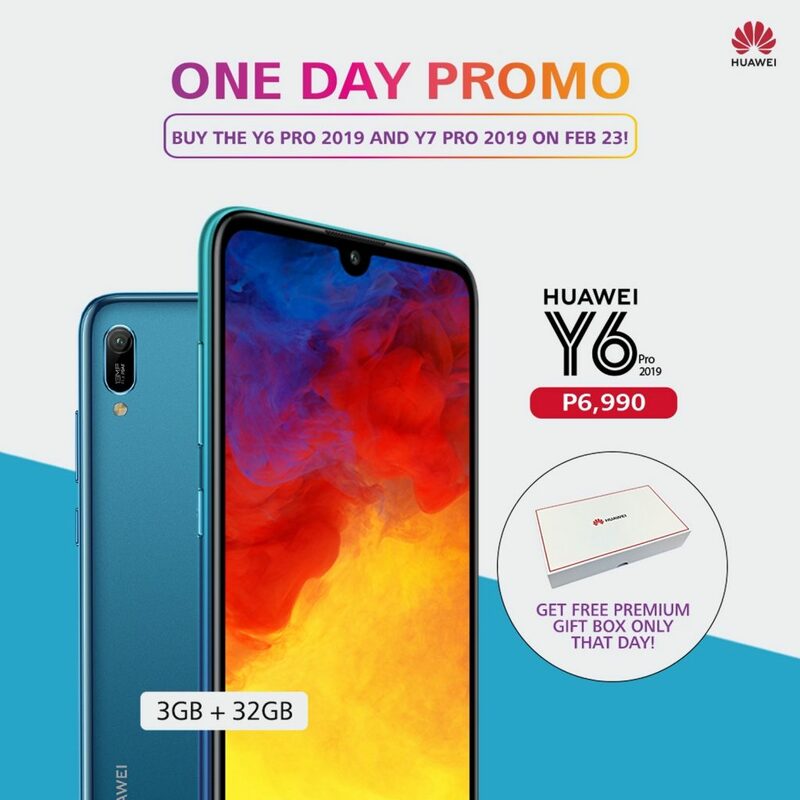 Now to make each phone an even better deal, Huawei has a one-day npromo happening right now — buyers of a Y6 Pro and/or a Y7 Pro today (February 23) will receive a free premium gift box! While Huawei has been quiet on what’s inside, we expect there to be some nice goodies such as phone accessories. Wanna know more about the Y6 Pro? Well it packs a 6.09-inch HD+ display, a 13 MP rear camera, an 8 MP front camera, a MediaTek MT6761 Helio A22 processor, and it runs on EMUI 9 which is based on the latest Android 9 Pie. All this can be had for PHP 6,990. As for the Y7 Pro, it features a 6.26 inch HD+ display, a Snapdragon 450 processor, a dual 13+2 MP rear camera, and a 16 MP front camera. The Y7 Pro retails at PHP 9,990. 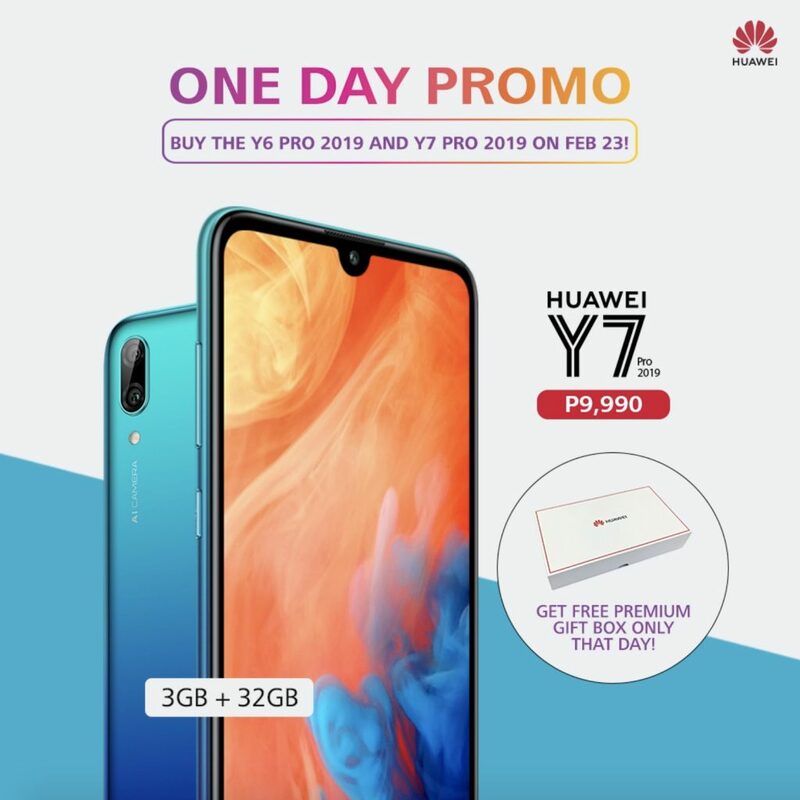 The Y6 Pro and Y7 Pro are available now in Huawei concept stores nationwide, as well as on Lazada.